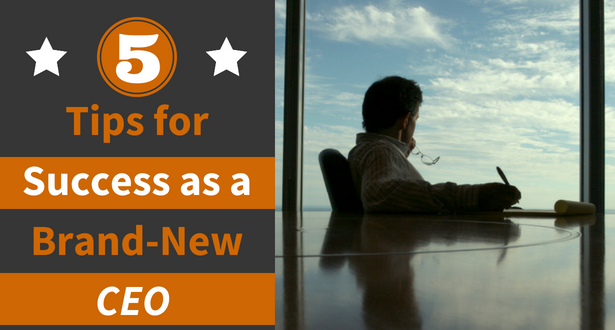 Becoming CEO of a company can be a daunting yet exciting reality, especially if it’s your first time in the role. It can be challenging for anyone, even for those with years of experience. But, even more so for someone who’s been thrust into their new title as CEO. To help run your “fast-moving machine,” Onorio shares his top five tips for brand new CEOs. If you find yourself in the “few employees” category, your mission should be to identify the talent that will help you replace your day-to-day activities. Being behind a computer screen is a recipe for stagnation and plateau. It’s true that the new CEO finds that they will wear a lot of hats. Your job is to start taking a few off. You’re the best salesperson your business has. If you’re too busy working in the business instead of working on the business – and without a dedication to sales, you’ll likely hold steady with minimal growth. Revenue and profitability are the two metrics you’re likely to measure your success by. Growth without profitability and profitability without growth can find you on a stagnate path. In our early phase, profitability took a backseat to growth. There was rarely a reasonable project we wouldn’t take on. That doesn’t mean profitability isn’t important, but achieving a high profit margin in early-phase growth means you probably didn’t make the few investments that you probably should have. While in growth mode, plan on reinvesting your profits into things that can make growth even more explosive the next year. That may mean an additional sales person or a piece of software that can automate critical services. When you mature in growth, then turn the knobs for sustainable profitability. Being a relatively young CEO throughout my twenties and into my thirties, I found myself on an island without places to turn for advice when I struggled with a business problem. No one in my personal network was facing the issues I was. Our growth kicked into high gear when I welcomed an advisor and investor in 2015 who had a stellar career in growing service-based companies. It was the difference maker in turning a lifestyle business into an agency. It also added a layer of accountability that I didn’t have before. Although I was accountable to myself, having accountability from a different perspective shines the light on opportunities that you might be too myopic to notice. Five-Year Plans? Throw them out. Concentrate on the current year and do the things you need to do right now to make 2017 a success. If you’ve written a 5-year plan, when was the last time you looked at it or referenced it? That doesn’t mean that you get away without setting goals. But set achievable goals for this year – and those goals for the new CEO should be growth driven. If you’re a new CEO with a small team, look around you and understand the complimentary services or features that you don’t have that could provide you a strengthened unique proposition or revenue stream. While we spent years as website design and development specialists, we started growing only when we could swim upstream from a project and help set the strategy that defined what that project would become. We picked up service line offerings in SEO, paid advertising, social media, and video production. These all complement our goals of successfully marketing our clients’ products and services. When you do diversify your services, keep it related to your core mission. Depart at your own peril – you risk diluting the things that you do well when you venture too far from the nest.